SCVHistory.com | The Story of Henry Mayo Newhall and the Newhall Foundation (Documentary 2015). If you live in the Santa Clarita Valley, it's a name you see every day. A town. A company. A hospital. Schools. Roads. A park. A historic ranch. And a whole new community yet to be built. That name, of course, is Newhall. It's attached to numerous landmarks and institutions. Newhall Land. Newhall School District. Newhall Avenue. Henry Mayo Newhall Memorial Hospital. Newhall Park. Old Town Newhall. Newhall Ranch — past and future. Our community's connection to that name stretches back 140 years and begins with one man — Henry Mayo Newhall. What started with the purchase of a bankrupt Mexican rancho has blossomed into an 8-generation legacy that continues to shape our community today. 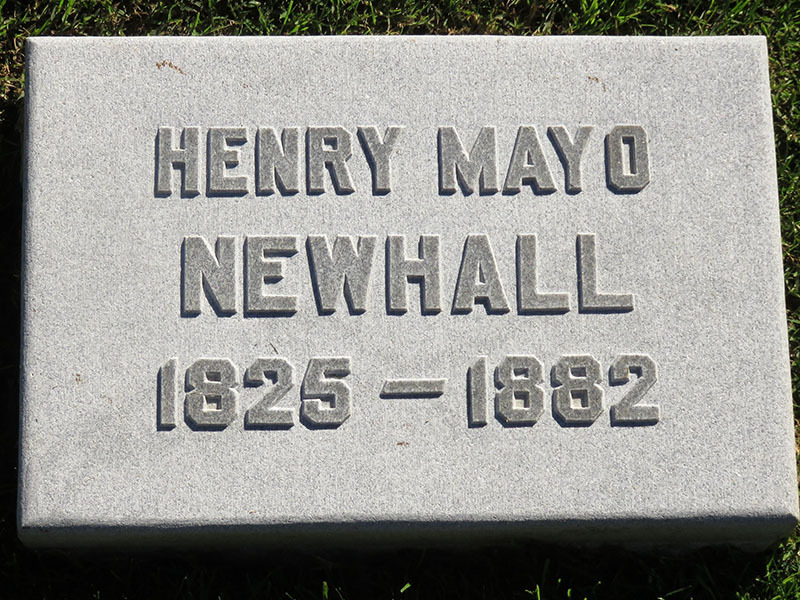 Henry Mayo Newhall's descendants are scattered across the United States. But some still make their home in the community that bears his name. The company that bears his name is still building on the land he purchased. And the foundation started by his heirs continues a tradition of philanthropy that he personally exemplified. From generation to generation, the Newhall Family has epitomized the ideals of service, community building, sense of purpose, and commitment to the greater good that marked the life of their most famous ancestor. 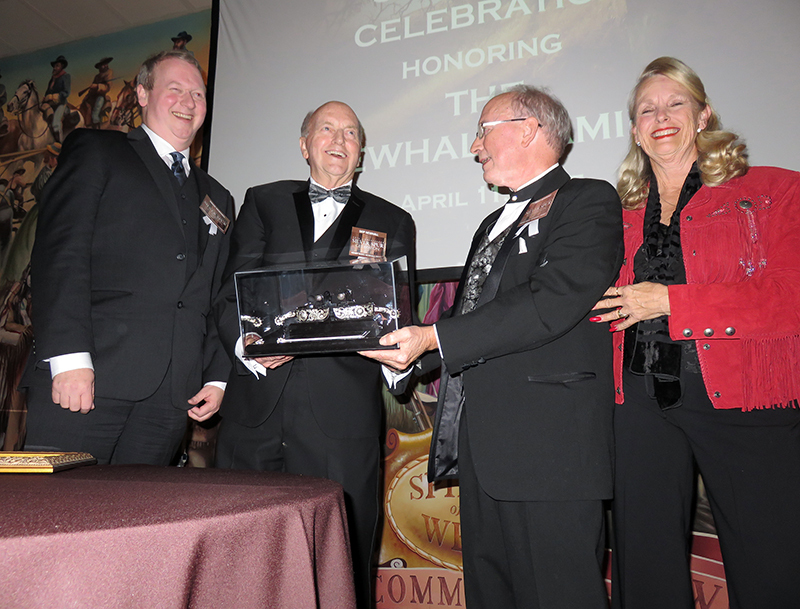 And so it is with a keen awareness of their influence in shaping the community we enjoy today — and with immense gratitude for their vision and generosity — that we honor the Newhall Family with the College of the Canyons Foundation Silver Spur Award for Community Service. Such recognition would be fitting in any year, but it is especially appropriate in 2015. This year marks the 25th anniversary of the Silver Spur Award. It is also the college's 45th anniversary year of service. And it was 140 years ago — January 15, 1875 — that Henry Mayo Newhall purchased the land that comprises much of what we call the Santa Clarita Valley. Henry Mayo was born on May 13, 1825, the fifth of nine children. His grandfather was a prosperous shoe manufacturer and trading ship owner in Saugus, Massachusetts. Tony Newhall: He was born in New England where his family had resided for seven generations. That's not seven years, it's not seventy years, it's seven generations. And he was one who moved away. At age 13, Henry chose ships over shoes. Tony Newhall: He signed up to be a cabin boy on a ship. He told his parents he was going down to the West Indies, not quite the truth, the ship was going to the East Indies. So they sailed down around Cape Horn in South America, and headed for the Philippines. A fall from the rigging broke both legs, forcing young Henry home to Saugus to recuperate. But he soon left home again in search of work, landing in Philadelphia. It was there, at 15, that he learned the skills that would lead to a successful career in business. An auction house put him to work moving goods from storage to stage and back. It was a dirty and demanding, 12-hour-a-day job designed to test the mettle of newcomers. His bosses were sure Henry would quit. But each morning, "there was Newhall, cleaned up, bright, and ready for business," one biographer recalled. Henry eventually headed to Nashville, founding his own auction house with a partner. And, in what would become a recurring theme throughout the young entrepreneur's life, success soon followed. Skip Newhall: He was a gifted man. He seemed he couldn't do anything wrong. No matter what he did it turned successful or to gold, or something like that. I don't mean literally, but like king Midas anything he touched came out well. There aren't very many people with that kind of charisma today, there's some obviously, but not that many. He was sort of self taught, and self made. Established in business, Henry turned his attention to familial pursuits. He married Sarah Ann White in October 1849. But instead of settling down in wedded bliss, a new opportunity had him on the move again. This time it was gold. He arrived in California on July 5, 1850, after sailing from New Orleans and crossing the Panama isthmus. Like thousands of other fortune-seekers, he headed for the hills in search of gold. And like most who did, he found nothing more than frustration. Miners averaged a dollar a day in gold dug from the hillsides. Never mind riches. That wasn't enough to feed a man when inflation and demand pushed the price of bread to 75 cents a loaf. Discouraged and broke, Newhall walked back to Stockton. He had stored a trunk there with some extra clothes. It was all he had left. But it was enough to build a fortune. Using an old barrel for a makeshift auction block, he sold a coat, boots and shirts, netting $300. He invested that capital in four damaged boxes of dry goods, and a steamboat ticket back to San Francisco. There, he planned to sell the dry goods, buy passage on a ship, and return home to his wife in Nashville. But while he waited, he looked for ways to make some money. Newhall arrived in California with $8,000 and was determined not to leave empty-handed. The owner of an auction house, by coincidence a fellow New Englander, was in need of a seasoned auctioneer. Newhall told him, "I can sell more goods, and for bigger money, than any man that stands in California." He backed up his bluster that night, clearing out a stock of slow-moving goods. Seeing that commerce was California's real opportunity, he auctioned off his return ticket and stayed on at the auction house. Within two years, he owned the auction house, and decided that his heart belonged in San Francisco. He built a stately brick home, and then headed back to Tennessee via Panama to bring his bride west. He had been gone for most of their marriage. Skip Newhall: At the same time Sarah decided it was time to go see Henry. So she departed the Boston area, came down, stopped and got off at the Isthmus, at what is now the Panama Canal. And by gosh if they didn't meet each other crossing. The reunited couple settled in San Francisco in 1852, and welcomed their first son — Henry Gregory Newhall — a year later. Two more sons followed in the next three years — William Mayo and Edwin White. But tragedy struck the young family, and after just nine years of marriage, Sarah died in childbirth. A little more than a year later, Newhall remarried. His new wife was Sarah's younger sister Margaret. They soon added two more boys to the family, with Margaret giving birth to Walter Scott and George Almer. Henry Mayo Newhall, meanwhile, continued to grow his business as the city of San Francisco boomed. He invested in land, having a knack for finding and buying inexpensive property in the path of the city's growth before it shot up in value. Another investment, this one accidental, didn't appear nearly as promising. But again, with the right timing, and Newhall's seemingly gifted touch, it took off. After paying off a defaulted loan for which he cosigned, Newhall found himself in 1860 with a one-third interest in what would become the San Francisco & San Jose Railway. Within four years, he and his partners raised $2 million, built 50 miles of track, and opened a profitable new railway. The partners eventually sold it, bringing Henry Mayo Newhall a handsome profit and a new chapter in his remarkable story. He began buying large swaths of California land that had been Mexican ranchos. Squeezed by debt brought on by prolonged drought and mounting legal expenses stemming from California statehood, families were forced to sell off their lands. By 1875, Newhall owned land up and down the state, from north of Sacramento all the way to Los Angeles. What prompted him to invest this far south is a mystery. It likely was the price — $90,000 for 40,000 acres. Or, like many of us, he was drawn perhaps by its simple beauty — a wide river valley tucked between two mountain ranges, and punctuated by rolling, oak-studded hills. Today, we know the Rancho San Francisco as Newhall Ranch, a name given to the property by Henry Mayo himself. The holding originally stretched from the Newhall Pass, north to Castaic, and west to Piru Creek. Immediately, Newhall began making the land productive. Irrigation enabled thousands of acres to be cultivated with wheat, alfalfa, corn, sugar cane, and numerous fruit trees, including oranges. While Newhall Ranch's production soon matched those of his other holdings, Newhall's vision for this property was much bolder. He wanted to build a city. And, again, his timing was impeccable. New railroad tracks approached the ranch from north and south, and would later converge in Soledad Canyon. He granted an eight-mile right-of-way for the line to cross the ranch, and deeded a square-mile parcel for a town site, named Newhall in his honor. Tony Newhall: He gave a lot of thought to what the town should contain. Livery stables and stores, and yes, even saloons, and then he started having a hotel built, the Southern Hotel, which is here from 178 to 1888, I believe. He created literally a tiny, almost metropolitan center in this town. And he built the areas for schools, the Newhall School in 1879. What he started was in many ways similar to what happened 90 to 100 years later, in the creation of Valencia, and the growth up here now. He named streets after those in Philadelphia where he spent his teen years — Race, Arch, Chestnut, Walnut, Market, Spruce, and Pine. He also erected a school, knowing it would encourage families to move in and populate his new town. Newhall's town was off to a promising start. Sadly, he would not see the dream realized. Skip Newhall: He died in a tragic way. He was riding a — the horse threw him, up in the air and he landed on a rock, on his head, had severe neck injury and died a few days later. Is that a great story? No, but it's a tragic end to what otherwise would have been many more productive years, I'm sure. In just about 40 years, Henry Mayo Newhall had gone from being the adventure-seeking son of a New England shoemaker, to a fortune-hunting 49er, gifted auctioneer, uncanny real estate investor, railroad entrepreneur, cattle baron, and town founder. It was a uniquely California story, and by any measure, an amazing life. And one that would leave an indelible legacy. In 1883, a year after his death, the widowed Margaret and Henry Mayo's five sons incorporated the Newhall Land and Farming Company. Its various operations enabled the family and its burgeoning third generation to live comfortably, pursue business interests and engage in philanthropy. As cash was needed, land was sold from the family's six California ranches totaling more than 143,000 acres. But the Newhall Ranch remained largely intact. After the initial burst of activity and investment following its purchase, the ensuing decades saw few changes in ranch life and the surrounding community. Cattle and crops were the dominant feature of the landscape. They were later joined by oil wells of varying success, and then, in the 1920s, movie cameras. The close of that decade forced change on the company, which really meant the family. With America mired in the Great Depression, their financial empire teetered on the brink of collapse, forcing some tough decisions. Enter Atholl McBean, grandson-in-law of Henry Mayo Newhall. McBean's reputation and business acumen were already well established by the growth and leadership he brought to the pottery company, Gladding, McBean, which he had taken over from his father. Accepting an invitation from his father-in-law to lead the family companies, McBean stopped land sales, improved agricultural production, made oil exploration profitable, reined in excessive salaries, and successfully erased the company's massive debt. He brought in talented executives from outside the family, and ultimately positioned The Newhall Land and Farming Company to begin its second half-century as one family biographer described — a "corporation under tight control rather than a haphazardly operated family inheritance." While most of the Newhalls remained centered in San Francisco, some found the ranch and surrounding area suited them, just as it had Henry Mayo. Henry Gregory Newhall was the son who remained in the local community and managed the Newhall Ranch. In fact, he lived in the Newhall Ranch House, which was preserved and later moved to Heritage Junction Historic Park in Newhall. He had a spur rail line built to Ventura in 1887, and named the connecting train station Saugus after his father's birthplace in Massachusetts. Another daughter of William Mayo Newhall was Elizabeth, who married Arthur Chesebrough, superintendent of the Newhall Ranch from 1910 to 1930. Their younger son, Robert Newhall Chesebrough, became a large local landowner and rancher. He left much of his estate to Henry Mayo Newhall Hospital after his death in 1996. Chesebrough Park in North Valencia is named for him. And those family members who remained in San Francisco often visited. Tony Newhall: The Newhall Land and Farming Company built a house, or made a house available. It had been build as a family house for visiting family members, and we took advantage of that in 1954, in the beginning, and we stayed out there in the midst of orange groves. Skip Newhall: The thing, the landmark that I remember the most is the big sign at the bottom of, what is now the Farm (unintelligible) grade, I guess that is what it's called now. 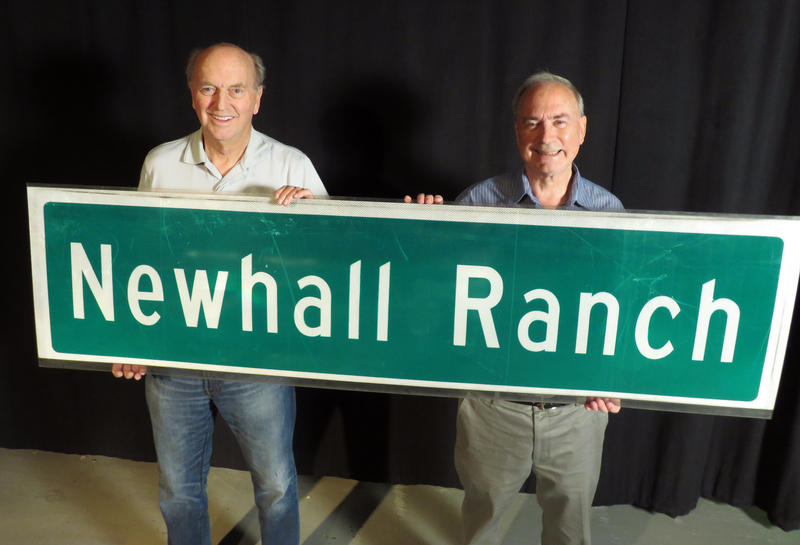 It said Newhall Ranch on it, and it was US 99 in those days, there was no Freeway. And it was blue, a sign in white, a neon at midnight saying Newhall Ranch. I said well, I guess this must be it. Tony Newhall: Orange trees and lemon trees proliferated the Santa Clara River Valley between here and Piru, and Fillmore. It was just beautiful, and it smelled so nice. We used to play out there, and when I was a little older, thirteen or fourteen, that's when we learned to drive on the little roads on the ranch, because there was no other traffic around there. And, in the case of Scott Newhall, and his wife Ruth, those visits eventually led to relocation. Tony Newhall: What brought my father here was that he was in the newspaper business in San Francisco. He was an editor and he was an employee of the large metropolitan paper, The Chronicle. He found out the local paper here was for sale, and he said he always wanted to publish his own newspaper and be his own boss. So he bought it in 1963 and he moved down here. With Scott's editorials, and Ruth's nose for news, The Newhall Signal and Saugus Enterprise quickly became widely read — and talked about. Tony Newhall: I think his greatest joy was actually working at The Signal, as editor of The Signal and dealing with the daily news in the community day after day. He wasn't afraid to comment on the news and happenings in the valley. And there were some interesting happenings in those days. Skip Newhall: The Ku Klux Klan came to town and on the way (?) on Soledad Canyon, on the road, there is a place where the tunnel goes through, and we had a, we, the Konclave, spelled with a K, by the Ku Klux Klan, was held there and a lot of people didn't like the idea, cause they were from the deep South and they had Sheriffs, helicopters all over the place. We got into an argument with one of the people, so called people, that were running this Ku Klux thing, and he didn't use his English right. He made a grammar mistake and I yelled out: "If you're going to be the master race, at least use master race English." The Klan didn't stay long. But the 1960s saw the start of more lasting changes on the Newhall Ranch and the Santa Clarita Valley. Small, one-off subdivisions had sprouted up outside the borders of the ranch over the previous decade. But McBean and other members of the Newhall Land board wanted something more. As Henry Mayo himself had envisioned some 75 years earlier, they set out to build a new town. A self-contained community complete with homes, businesses, parks, schools, roads, and a hospital. It would even include golf courses, an amusement park, and colleges. The 153-acre site of College of the Canyons, in fact, sat squarely in the middle of the Newhall Ranch. After local voters established the college in 1967, the college's board and administration went looking for a suitable location. They found the perfect one in some rolling hills just west of the newly opened Interstate 5. Tony Newhall: I can remember it being just barren fields, that's before Rockwell Road was put in. It was just grazing land, just like it was for a long time. Unbeknownst to college leaders, however, Newhall Land had other plans for that property. It was to be the location of a new amusement park built in conjunction with Sea World. Aware that the college could claim the property through eminent domain, Newhall Land suggested instead that the campus be located on the east side of the freeway, just south of Valencia Boulevard. They priced the land at $10,000 per acre, and refunded much of the purchase price after the sale. And what became of that joint venture with Sea World? It became Magic Mountain. But back to the building of this new town. Newhall Land hired internationally recognized urban designer Victor Gruen to bring the vision to reality. Tony Newhall: They wanted to establish the residential homes, they wanted to establish retail stores, and the roads, divided highways, divided parkways, and the neighborhoods and the paseos, and then they also needed an Industrial Center, and schools. But what to call this vision? McBean entrusted that critical task to a professional wordsmith. Tony Newhall: My father, Scott, was looking for a name for this new community. He wanted to give it a good name all around. He thought some names like "Paradise" is one he liked. I reminded him that there also a name of Paradise in Northern California, so he dispensed with that and he thought, you know we ought to give it a nice fresh name like "Orange," but there was already an Orange, California, and a county. We were driving along one day and he said, "I know what we will call it. We'll call it Valencia." Another key element of the new community is a hospital that bears the name of Henry Mayo Newhall. Tony Newhall: I think the hospital is one of the best additions to the community that has been done. I don't think it was a Newhall family member who first suggested it. I think it was Tom Low, who was chairman of Newhall Land and Farming Company back in the 1970s, and it was in the 1960s when they first discussed it. They put together a Board of Trustees, because this area was being served by very small, privately owned hospitals at the time. And if this community was to grow or gain a name for itself it needed a good hospital and it needed a good emergency room. That's exactly what they tried to put together and they totally succeeded. While Newhall Land got to work building Valencia, McBean moved ahead with another initiative that would make a lasting impact and help support the burgeoning community. Like the plan to build an entirely new community, it was an idea inspired by Henry Mayo Newhall himself. Tony Newhall: Atholl McBean went to a Board meeting, as I recall, and said, we're in a number of communities in California, in San Francisco, and in the Central Valley, the Merced area, and in Santa Maria and in the Newhall/Saugus area. Every time anyone needs real help or backing they'll come to the local Newhall Ranch Farm Company and ask for donations, and we try our best and give donations. He said what it would really do the job better would be a Foundation in the name of the founder Henry Mayo Newhall. Newhall Foundation Board, 2014. Click to enlarge. The family embraced the idea enthusiastically. 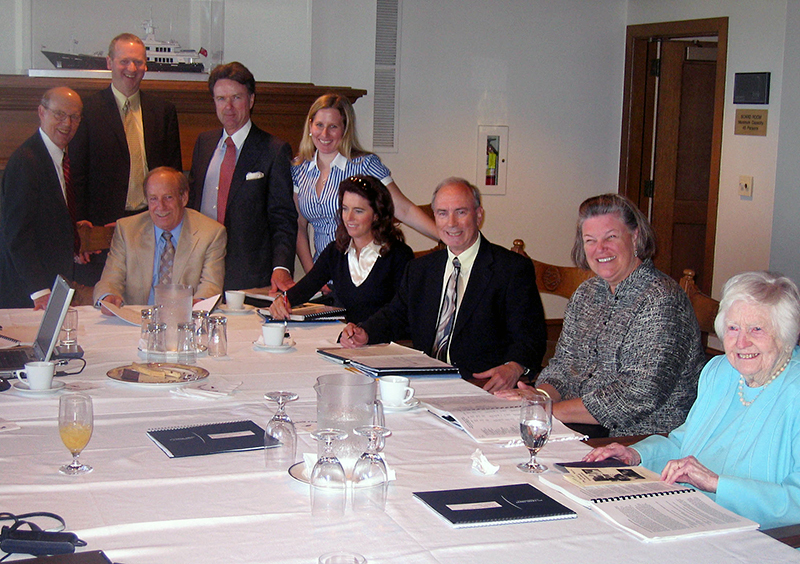 Founding board members included Bob Woods, a great-grandson of Henry Mayo Newhall who lived his entire life on the Suey Ranch in Santa Maria, and Jane Newhall, a great-granddaughter of Henry Mayo Newhall, who often traveled from her home in San Francisco to the Santa Clarita Valley. She would become a major benefactor of the Boys & Girls Club of Santa Clarita Valley and Henry Mayo Newhall Hospital. Tony Newhall: The first local donation here was probably to the church in Fillmore or the Newhall Saugus Boys Club, which was down here. It had just been formed in 1967, it was formed by Larry Margolis and Reverend Sam Dixon and Dr. James Foster. And we gave them a founding grant I think of about $20,000 to $25,000. We have been giving them grants over the years ever since. A foundation such as this would have made Henry Mayo Newhall proud. In San Francisco, he was not only a leader in business, but also in philanthropy. He well understood the need to invest in the development of a city beyond its physical infrastructure; that a true community is built from the inside out. Writing about the leading men of the age, one author wrote, "There is not a church building, a school house, a charitable institution in San Francisco to which (Newhall) has not been a cheerful giver." Newhall gave generously, and "with an utter absence of pronounced display," one of his sons said. Tony Newhall: I think he saw that he was putting down roots and that one of his duties was to serve the community. The Newhall Family still embodies that same sense of selflessness. The Foundation is governed by a 13-member board, all members of the Newhall Family. Tony Newhall: Where does the money come from? I told you the story of a donation from Newhall Land, it was publicized throughout the family that if you would like to keep up the spirit of giving, donating of Henry Mayo Newhall please consider leaving something in your will, or giving an outright donation, anything, anytime, to the Newhall Foundation. For what is worth, because some people who have inherited wealth from their ancestors, and Henry Mayo Newhall descendants, and they leave it in their will. Some without a doubt die childless and this gives them a place to put their money. And a gift of $500.00, I'm sorry, $5,000.00 dollars in the early ‘60s to the early ‘90s, when I joined the board, it was about $5 Million dollars in assets. And then today is worth about $40 Million dollars, the Foundation. It's hard to find an organization in the Santa Clarita Valley that hasn't benefitted from the generosity of the Newhall Foundation. Tony Newhall: The Foundation has also been able to help many other groups like the Samuel Dixon Family Health Center, like the SCV Senior Center, like the Newhall School District, which will be under way with a new theatre very soon. The Saugus School District with an after school program, College of the Canyons, Henry Mayo Newhall Hospital, Cal Arts, almost every group you can think of. 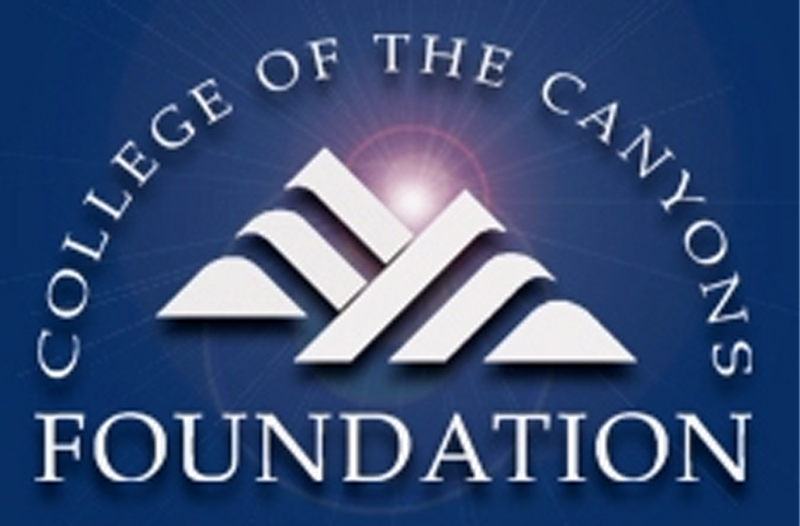 College of the Canyons is particularly grateful for the foundation's ongoing support. From the Library, to the Early Childhood Education Center, to Scholarships, and the Medical Lab Technician Training Program, the Henry Mayo Newhall Foundation has partnered with the college on some of its most innovative endeavors, providing the funding to launch new programs and services that yield amazing benefits to students and the community. Their support helped build the University Center, which has enabled more than 3,000 local residents to earn bachelor's and master's degrees, advanced certificates and credentials right here in the Santa Clarita Valley. The new College of the Canyons Institute for Culinary Education opened this year on the Valencia Campus with the help of the Foundation. Like their forbear, the Newhall Family members serving on the foundation's board understand the value of education — to allow all who seek to better themselves to reach their fullest potential. It's fair to say the Newhall Foundation has helped College of the Canyons become what it is today — and change countless lives for the better. Tony Newhall: What you are doing is investing in the future. Even Henry Mayo Newhall saw that. He always tried to promote a good education and we feel the same way. The Henry Mayo Newhall Foundation gives a lot of money to scholarships. Hart High and Fillmore, and other areas and College of the Canyons. We think it's one of the best places that we can do with our money. The Foundation. The company. The town. And the new community of Newhall Ranch yet to be built. Together they form an amazing legacy, sparked by a visionary businessman and builder, but ultimately brought to life by his descendants. From generation to generation, the members of the Newhall Family have carried forward his example of stewardship, innovation, and success. And if Henry Mayo himself was able to see the results today? Tony Newhall: I think he would be very proud, and very impressed. The fact that a city, a community, has grown up in the area which he just remembers as grass lands and rolling hills and range land, a Spanish land grant, to see a thriving city with highways and by ways going through it, planned parkways without billboards on them, I think he would love it tremendously, and be very proud. Skip Newhall: He probably would have said to himself, my gosh, and part of my family made all this come to pass. And I think that would be a very proper self assessment he would be very proud, I think. It is a proud legacy indeed. One that deserves to be recognized and celebrated. 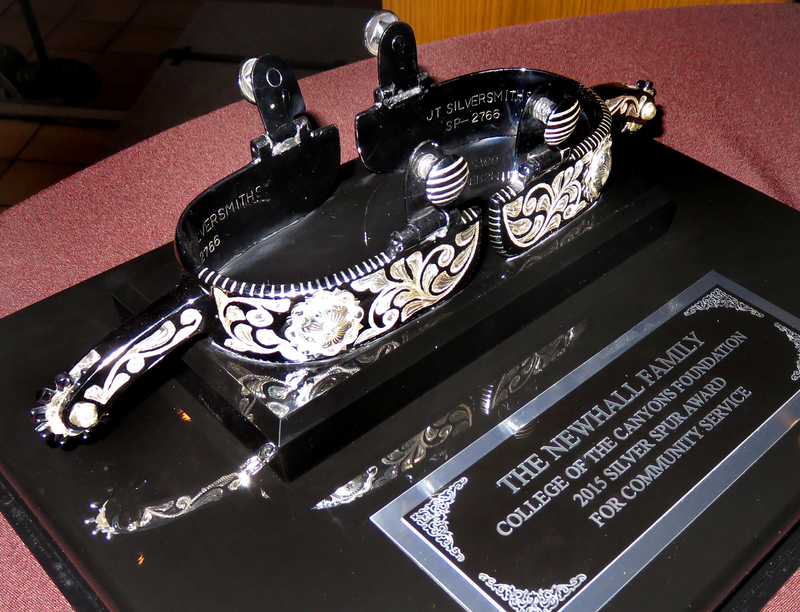 To that end, College of the Canyons, and its Foundation, are proud to honor the Newhall Family and present them with the highest award they bestow: the 2015 Silver Spur Award for Community Service. About the Silver Spur Award. The Silver Spur has been awareded annually since 1989 to a local leader (or couple or family) for their legacy of community service. It is an activity of the College of the Canyons Foundation, which mission is to provide financial support for the Santa Clarita Community College District. "This allows College of the Canyons to perform beyond the achievement level that tax dollars alone can support and to strive for the highest levels of excellence in teaching, scholarship, vocational training and innovation. The Foundation believes that public educational institutions and private enterprise must work together to provide an affordable and accessible college education for all who have the desire to succeed."